Client for the 'Orcid.org' 'API' (< https://orcid.org/>). Functions included for searching for people, searching by 'DOI', and searching by 'Orcid' 'ID'. 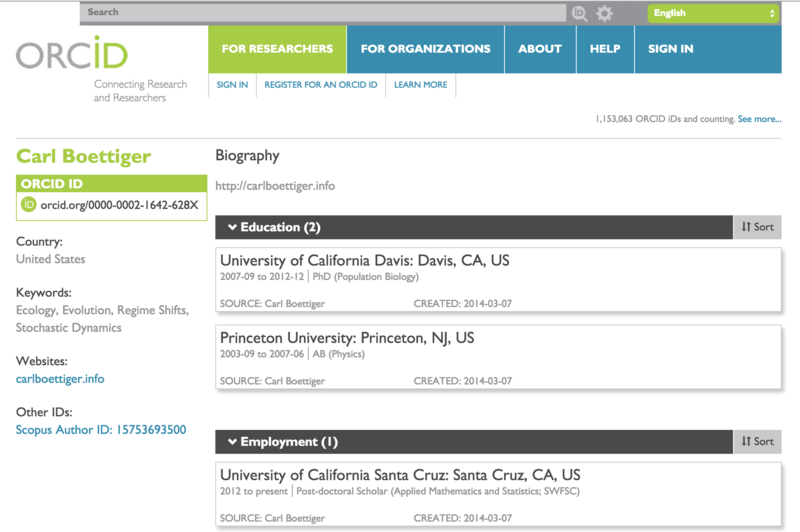 rorcid is an R programmatic interface to the Orcid public API. rorcid is not a product developed or distributed by ORCID®. The package now works with the v2.1 ORCID API now. It's too complicated to allow users to work with different versions of the API, so it's hard-coded to v2.1. There's a function as.orcid() in this package to help coerce an Orcid ID to an object that holds details for that Orcid ID, prints a nice summary, and you can browse easily to that profile. E.g. #>  "2344" "asdf" "232"  "asdf" "23dd"